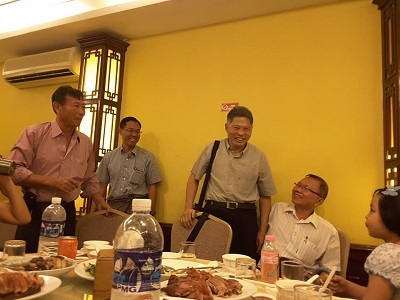 Aung Kyaw visited back to Yangon in November and met with elite team for final touchs of preparing December 18 reunion. He made some executive decisions on both reunion and Saya Kandaw Pwe issues and ordered Yangon team to follow his lead. 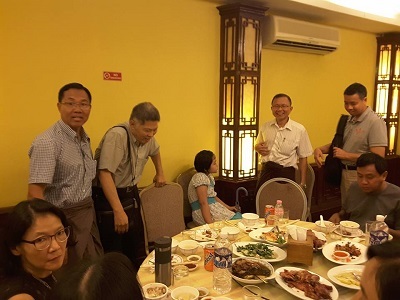 Aung Thura treated gathering lunch for committee after meeting. Thanks both Aung Kyaw and Aung Thura for this critical meeting. Aung Kyaw will come back to Yangon for December 18 Saya Kandaw Pwe and reunion. Aung Min, Aung Kyaw and Aung Thura with Sama Jalin. Aung Kyaw was greeted by Kyaw Lin and daughter. back - Aung Min, Aung Thura, Kyi Suu Thar and daddy Kyaw Lin, Maung Maung Myo, Aye Aye Htwe and Aye Aye Myint. 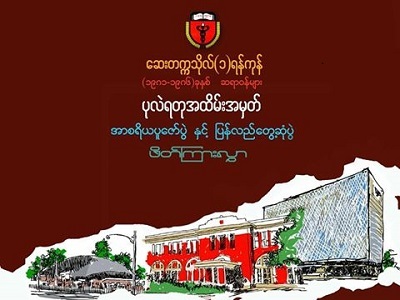 front - Ahmar Kyi, Mie Mie Aung, Sama Jalin, Aung Kyaw, Khine Than, Khin Thin Thin and Hnin Hnin Yu. 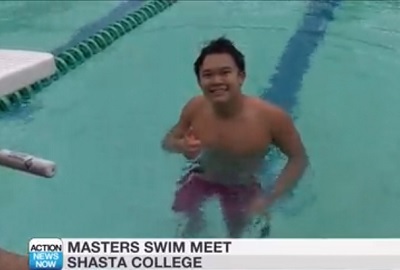 Than Tun Aung's older son Alex recently sets some swimming record for his age group in Redding, CA. Please watch below video clip on Alex's record setting swim. For younger age group, Than Tun Aung's younger son Winn Aung has been setting all national records all around the year. Our classmate Thin Thin Mar's younger son is also setting regional record in New Jersy area. Congratulations to both classmates and family for great achivements. Class of 1986 30th Pearl Anniversary reunion and Saya Kandaw Pwe will be on December 18, 2016. Yangon committee is working very hard to organize the activities. If you have not donated yet or you have not reserved yet for attendance, please contact to following Yangon committee members. 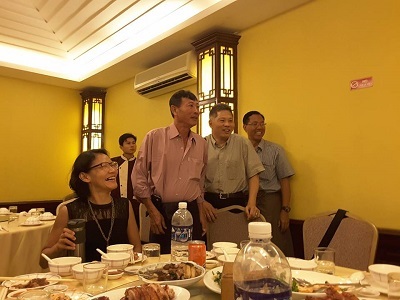 Snapshot of Yangon Committee meeting activities recently. 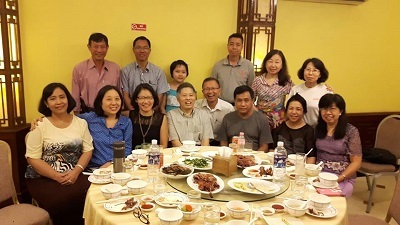 Class of 1986 30th Pearl Anniversary reunion will be on December 18, 2016 at Lion City restaurant (Tin Tun). All classmates and family members are encouraged to attend. 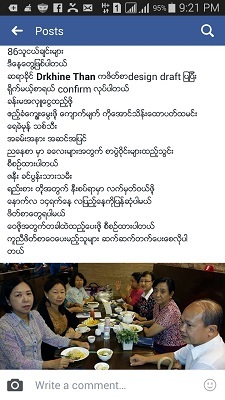 Please reserve to Yangon committee as soon as possible. There will be a lot of fun activities for all ages, boys or girls. Our IM (1) of 1986 batch has very creative writers, authors, journalists, columnists, poets, bloggers, freelancers, cartoonists, artists, etc. 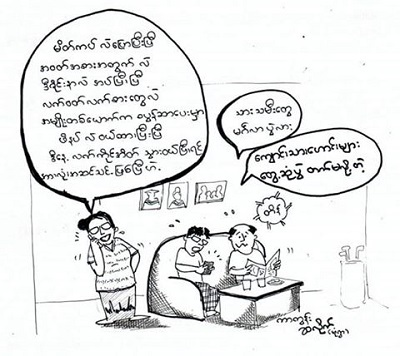 Aye Aye Myint (Pa Done Mar), Yin Yin Kyu (Su Yae Moe), Tint Tint Kyi, Kyaw Lin (Wooden Sea, Mr. lamb, Islander), Rakhine Soe Min, Tin Aye, Khine Than, are just few example of talented creators. I believe many many more are there. We can enjoy and support most of their creations on current Social Media and main streams. Social Media is spreading like wild fire among our 1986 classmates. Some use Facebook. Some use Viber. Some use both. Some use neither. Some use messanger. Some use Instangram. Some use Snapchat. Some use WeChat. Some use Hangout. Some use Allo. Some use Tripod website. But some just use traditional email. Some just call by telephone. Some use Telegram. Some just use pencil and paper to write and put in mailbox. Some just knock on the door and chat. Some just shout loudly. Some use Smoke signal. Some do not use anything. Some just close their ears & sleep. No matter what you use or what you do not use, Ma Myint (Aye Aye Myint) will find you and collect donation for Saya KandawPwe :-) You can not escape. So please donate if you have not done so. 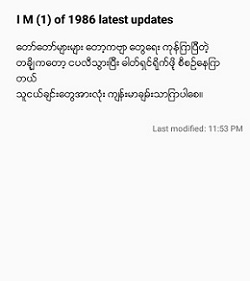 If you want to participate in im1of1986 Facebook chats, please contact Facebook admin Saw Min Naing at sawminnaing35@gmail.com. If you just want to look Tripod website & receive email updates, please contact Tripod admin Kyi Maung at im1of1986@gmail.com. Anyway, please give credit to Cartoon Salite (Myon Ywa) for below cartoon. 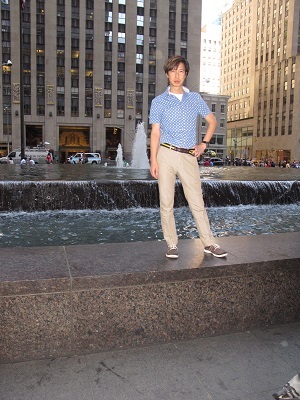 Kyone Khwin and Ohnmar visited to New York in May 2014 and met with Mie Mie. Below are sharing of their photos during that time. 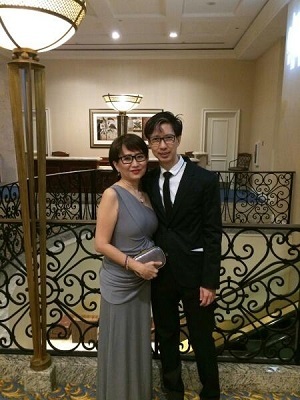 They also share current handsome photo. 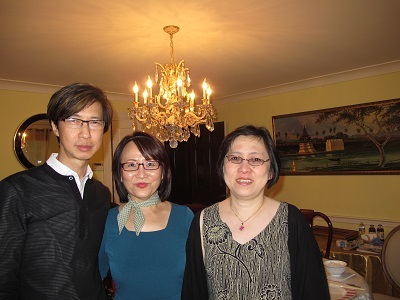 Kyone Khwin and Ohnmar with Mie Mie in New Jersy. 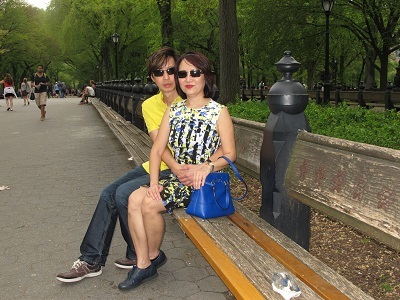 Kyone Khwin and Ohnmar in New York city. 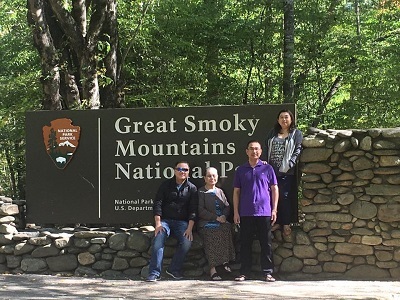 Zaw Lwin and family had to evacuated Charleston, South Carolina when hurricane Mathew approached on October 9. All family are fine. 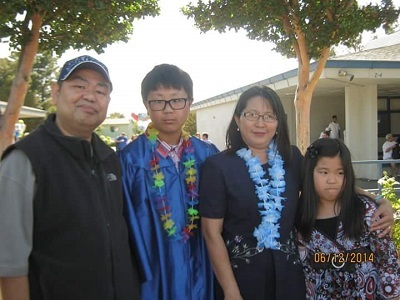 Kyi Maung family photo on Julius middle school graduation ceremony on May 2014.